I’ll take some wine with that… – Go Blondie! I have recently tried a few tasty white wines that I have liked and have been slow with blogging about them. I guess that is what happens when you get a puppy! Carl and I had my family over for my sister’s going away party. I picked up a bottle of white wine that I haven’t tried before but LOVE the red wine of this type. I have raved and blogged about the wine Apothic Red. It is a perfect red wine for a new red wine drinker or veteran. 🙂 I was in the store and saw a Apothic White and thought it had to be as good as the red. Well, I was right it was! 🙂 I definitely recommend Apothic White. The other white wine I liked is a yummy Riesling. I met a friend at Surdyk’s in Minneapolis to check out the wine sale! 🙂 Glad I went there. I haven’t been there before and my friend raves about the place and their prices, oh and did I mention they do free wine tastings while you walk around. I’m in heaven possibly. 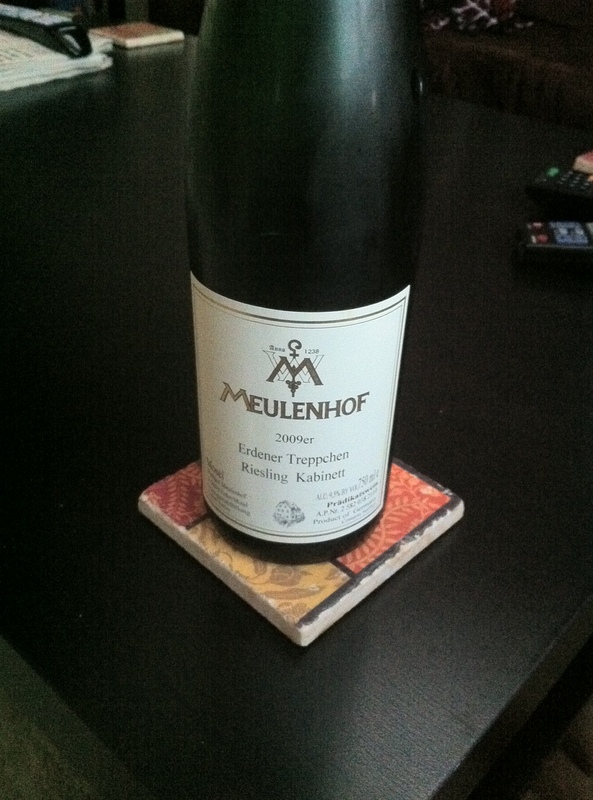 I highly recommend this Riesling. It was a little expensive, but worth it for a nice event or get together. Free wine tasting is always a good thing. I went to my crappy, local, small town liquor store and right in the front of a display was those two wines, funny. The white tastes like caramels. I like the red a lot but the white isn’t too bad.